Come help us break in our new garden area! New high top fire tables for up to 14 people! Seating, corn hole area! 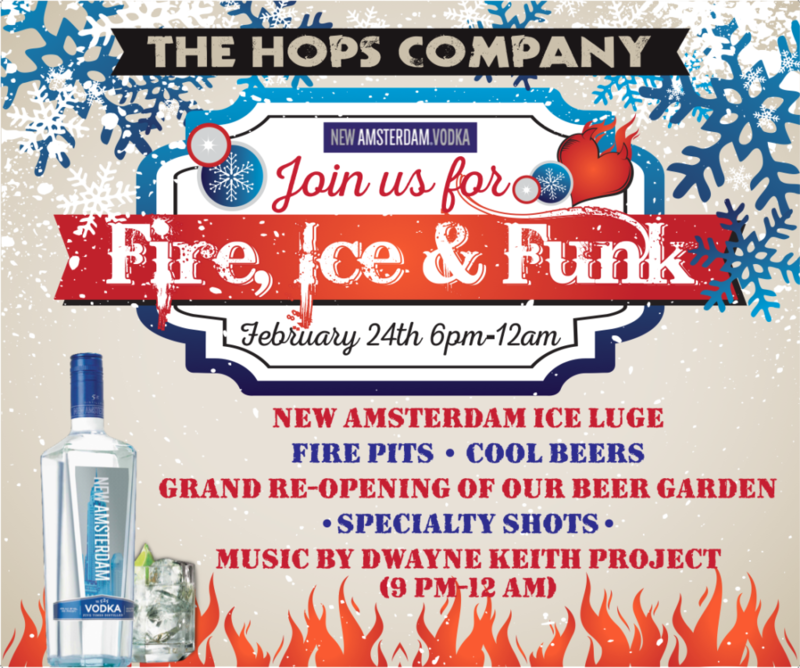 We will be celebrating with an ICE LUGE from Absolute, Firey shots, and a the funkist of funk bands- The Dwyane Keith Project! Band goes on at 9pm! 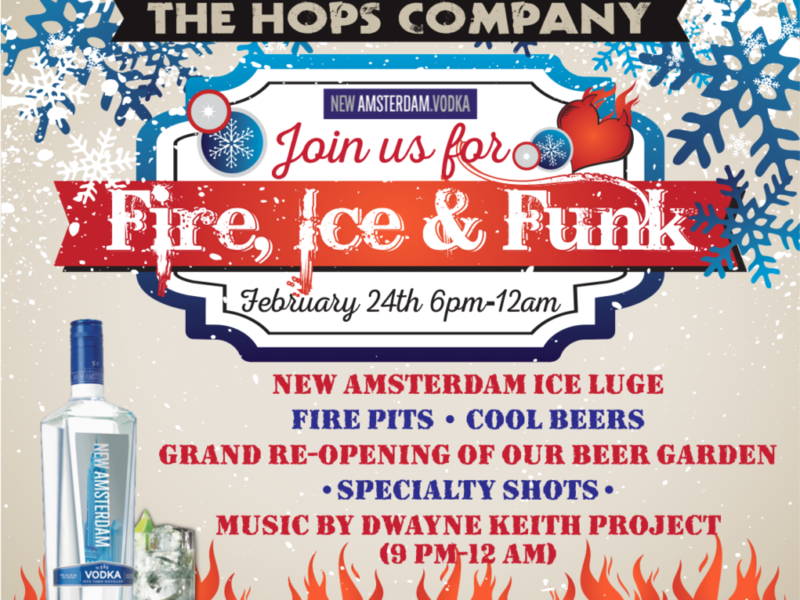 We are gonna heat up the place!